Sinuses are air-filled cavities (spaces) located in your forehead, cheekbones, and behind the bridge of your nose. The sinuses produce a thin mucus that drains out of the channels of the nose. When a sinus becomes inflamed, usually as the result of an allergic reaction, a tumor, or an infection, the inflammation will prevent the outflow of mucus and cause a pain similar to that of a headache. Whether the symptoms of a headache can actually be attributed to the sinuses will need to be determined by a physician. If your headache is truly caused by a sinus blockage, such as an infection, you will likely have a fever. CT scans or MRI, along with a physical examination, are usually conducted to determine if there is a blockage in your sinuses. 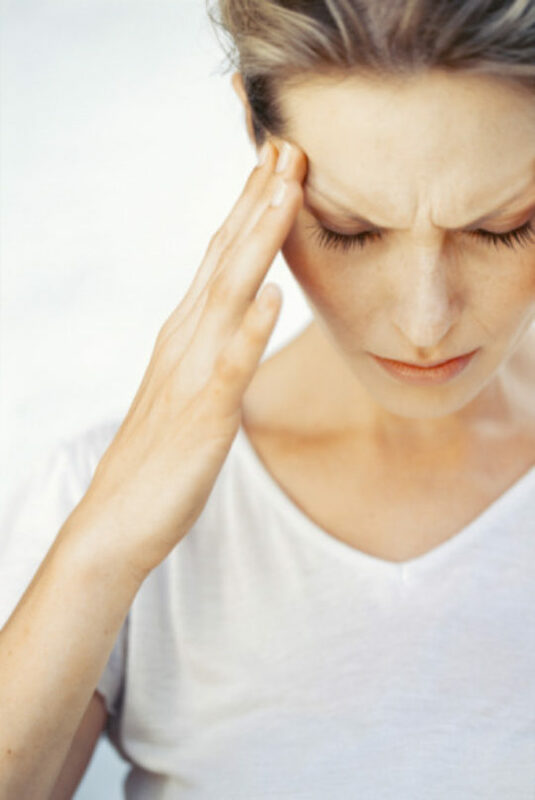 Treatment of sinus headaches is usually directed toward symptom relief and treating the infection. Treatment might include antibiotics for the infection, as well as a short period of antihistamines or decongestants to treat the symptoms. If you take decongestants but do not have a true sinus headache, the medication could make your headache worse. Other medications to treat sinus infections include analgesics (pain-relieving medications) and vasoconstrictors. Corticosteroids may be prescribed for some people when the pain continues after the use of analgesics. When an allergen is causing the sinus flare-ups, preventive allergy therapy is often needed. Decongestant medications can be used to relieve headaches associated with sinus infections. Decongestants help relieve headache symptoms because they constrict blood vessels that cause headache pain. However, decongestant use can be habit-forming. If your headaches seem to be relieved by decongestants but you do not have a sinus infection, you may actually have a migraine or tension-type headache, which require treatment with abortive or preventive medications. Warm moist air may alleviate sinus congestion. Using a vaporizer or inhaling steam from a pan of boiling water (removed from heat). Warm compresses are useful to relieve pain in the nose and sinuses. It is a misconception that allergies cause headaches. However, allergies can cause sinus congestion, which can lead to headache pain. If you have allergies, the treatment for your allergy will not relieve your headache pain. The two conditions generally must be treated separately.